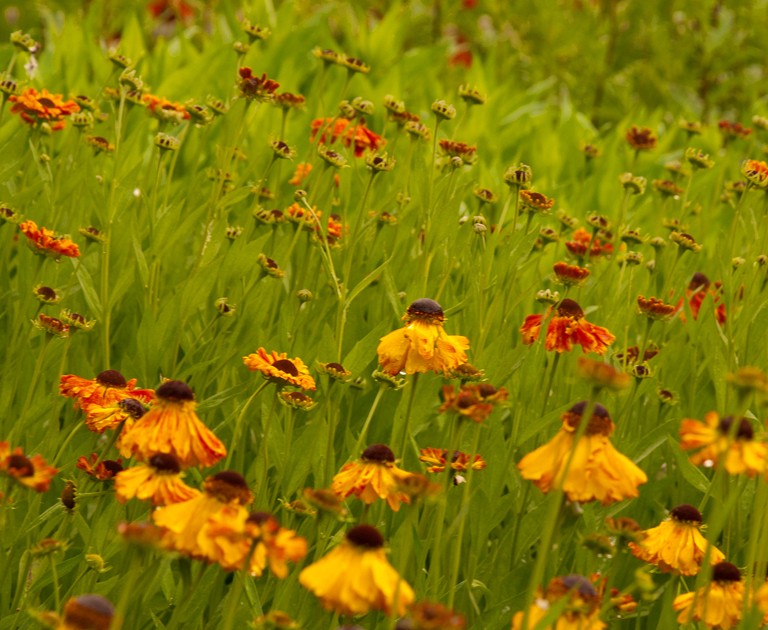 You may or may not be aware that I coordinate my local “Cluster Group” for the Society of Garden Designers (SGD). 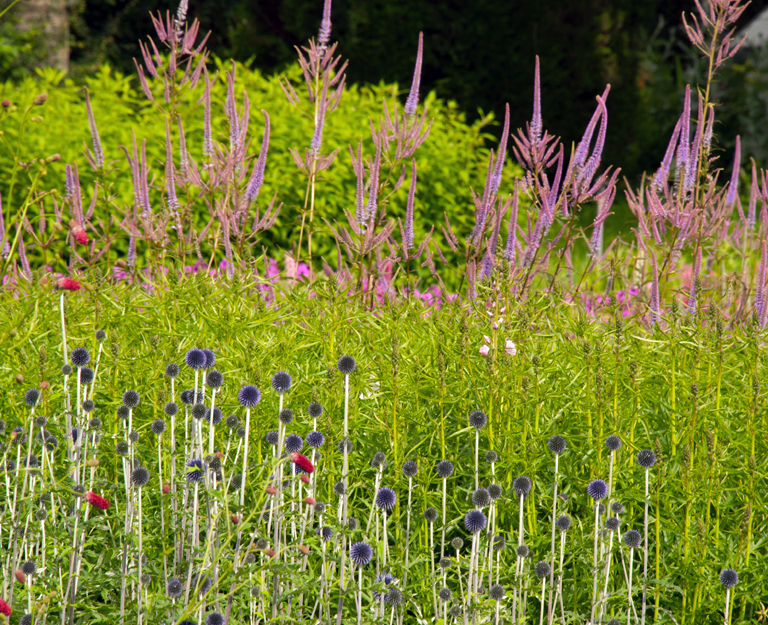 It’s a peer network group for members of the SGD and each month we either invite a speaker, choose a topic to discuss or make a visit somewhere. 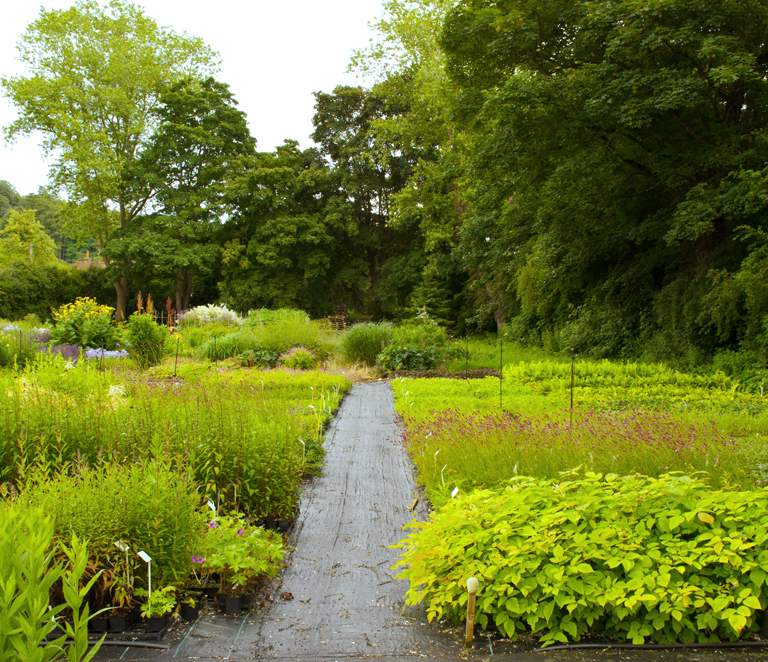 For our July meeting we arranged a tour of Orchard Dene Nursery in Henley. Orchard Dene is a wholesale nursery, which means they do not sell directly to the public, but I thought it would be nice to share the photos I took and give you an insight into the workings of a nursery where they are just oozing with passion for what they do. 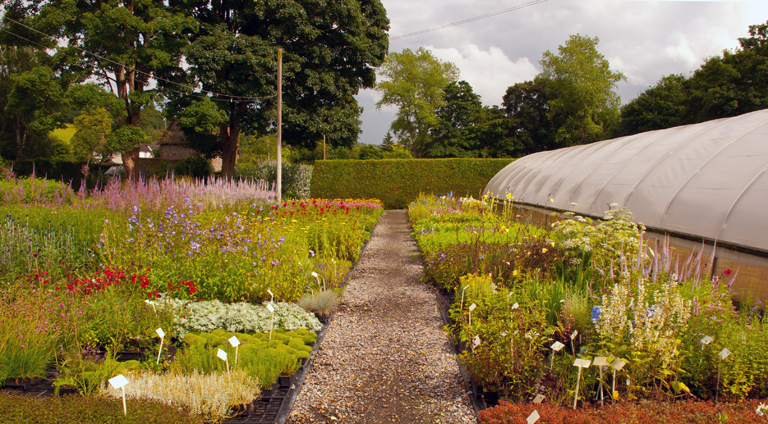 The nursery is owned and run by Chris and Toby Marchant and they have been growing imaginative and top quality hardy herbaceous plants, ornamental grasses and ferns for 26 years. As well as growing the tried and tested plants that perform well, Chris and Toby are constantly working to increase the varieties of stock that they produce. 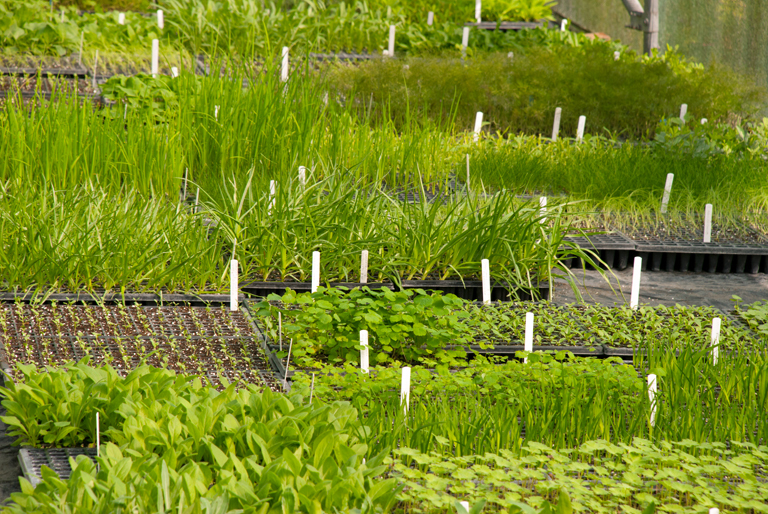 They are very passionate about supplying only the best quality plants and they will never allow stock to leave the nursery unless it is absolutely ready to be planted in the ground. What struck me immediately was how well the nursery is managed, literally not a weed in sight. As some of you know, my parents run a small nursery in Somerset and I know just how difficult it is to achieve this. Chis and Toby’s philospohy is that a clean nusery produces clean plants and I agree with them wholeheartedly. 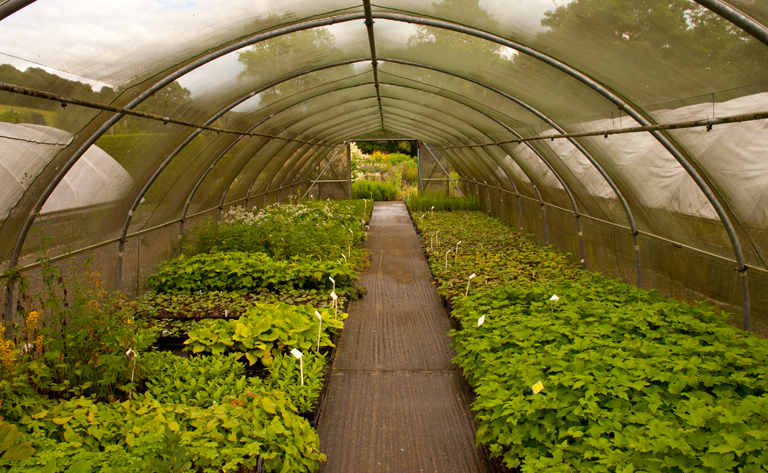 The pictures above show a couple of the imaculate polytunnels at the nursery. The planting beyond the polytunnel in the picture immediately above is a section of their stock fields, the trial area where new plants are grown in the ground to check their suitability and also to provide an invaluable resource of information about a plant’s growth habit and vigour. 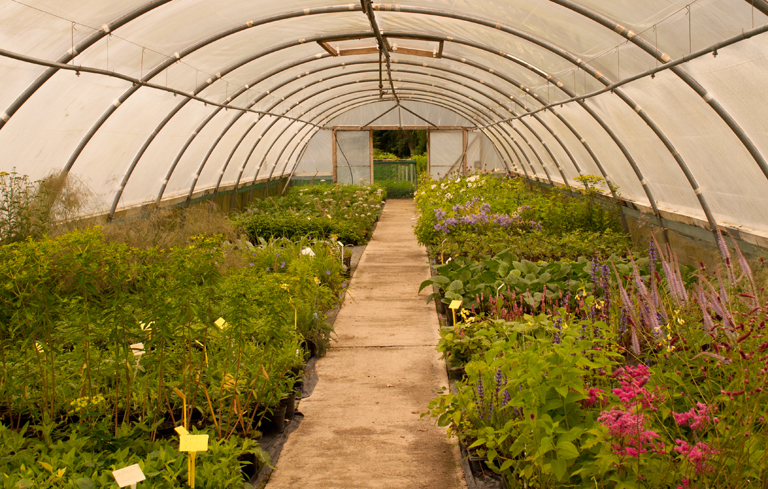 The plants at Orchard Dene are mostly cultivated at site from existing stock and each part of the growing process is meticulously carried out so that the plants they are producing are the best quality they can be. 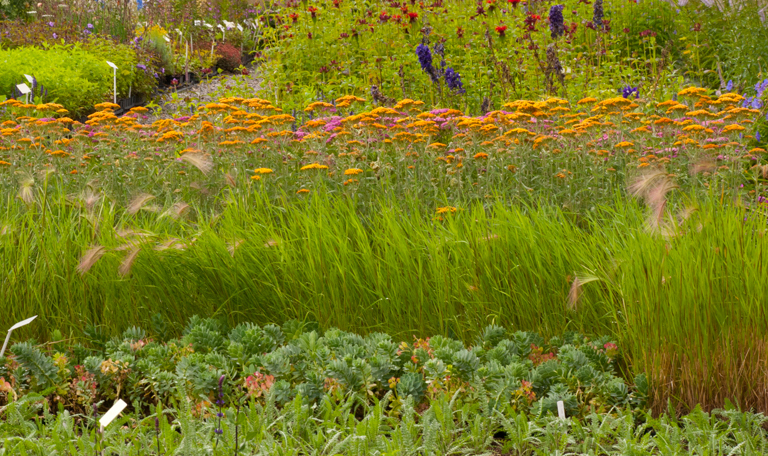 They use peat-free compost which is mixed themselves and supplied from sustainable sources. 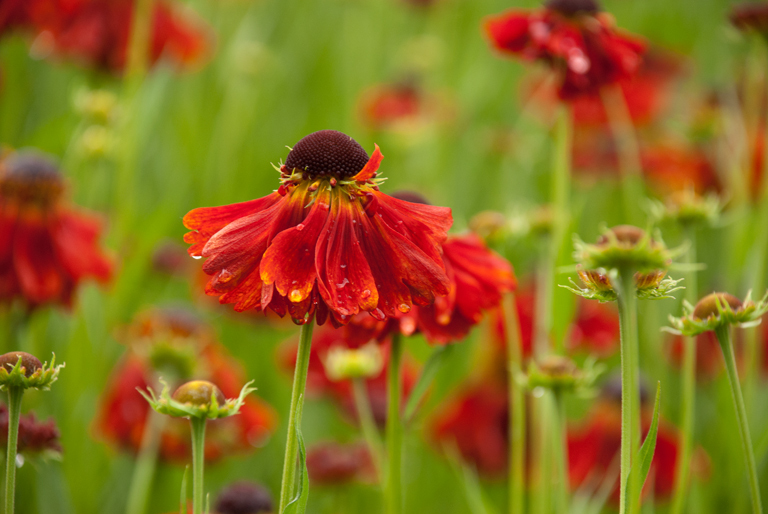 I think the photographs demonstrate just how healthy the plant stock is and they are often used at Chelsea Flower Show too – they have supplied the plants for Cleve West’s Chelsea show gardens for the last two years, both won Gold and Best In Show. 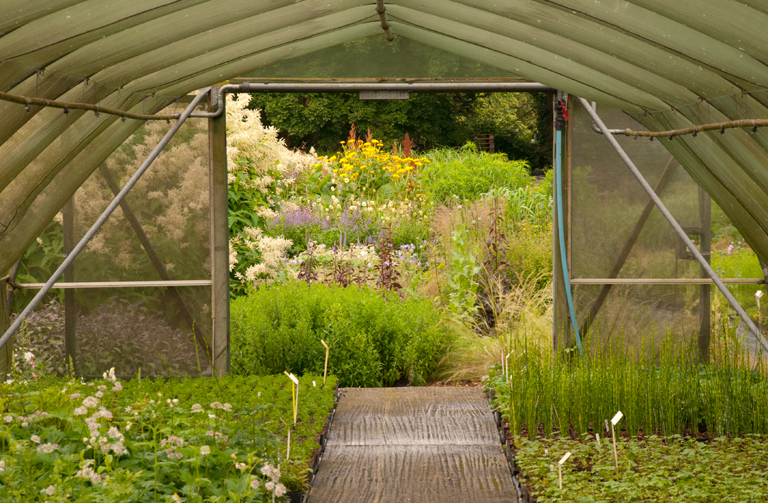 You may be interested to know that Chris Marchant writes a monthly column for Gardens Illustrated Magazine and for the garden designers amongst you, I urge you to make a visit to the nursery – you’ll be hard pushed to find healther plants.